The United States of America has a rich military history. We still have an amazing group of soldiers who protect our freedom. I was raised in a patriotic home and I want my kids to understand and appreciate patriotism. The best way to teach kids patriotism is with hands on projects. Here are some easy ways kids can help support the troops and get involved. Collecting extra change is a simple and easy way for kids to help support the troops. 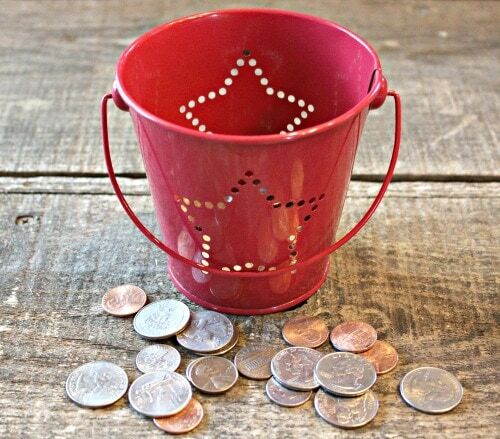 It is fun to put a little patriotic can, glass or bowl on the table or bar to remind the family to put their change inside. The money can be given to organizations that support the military. The USO takes donations and uses the money for many programs to benefit soldiers and their families. Another way kids can help support the troops is to learn early how to gain support for a good cause. Parents can help their children organize a drive to collect different items that soldiers, veterans or their families may need. Kids can collect items for care packages to send overseas. They could also collect items that a local veterans hospital could use to make life more comfortable for the patients. Children can ask their family and friends to help them with this project. One way to support the troops is with words of encouragement. It is easy for families and children to send messages to our nation's service members and their families. 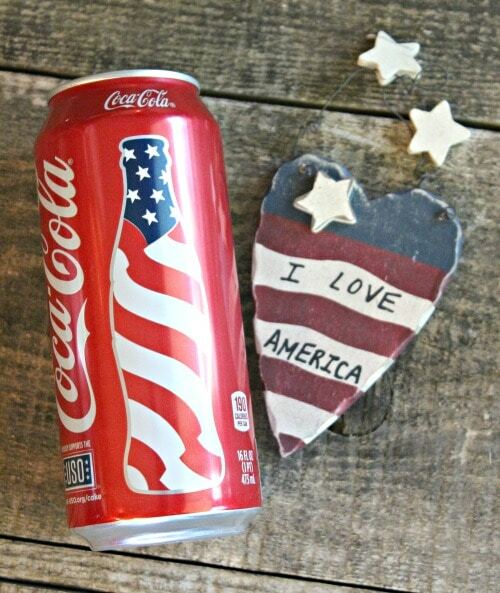 Dollar General, USO and Coca-Cola™ have a goal to send 25K messages of thanks to those who are serving our country! These messages are going to go DIRECTLY to a service member around the world. You can go HERE to send your message today and help us reach this goal. What if you and your child could give a gift that only cost a dollar? 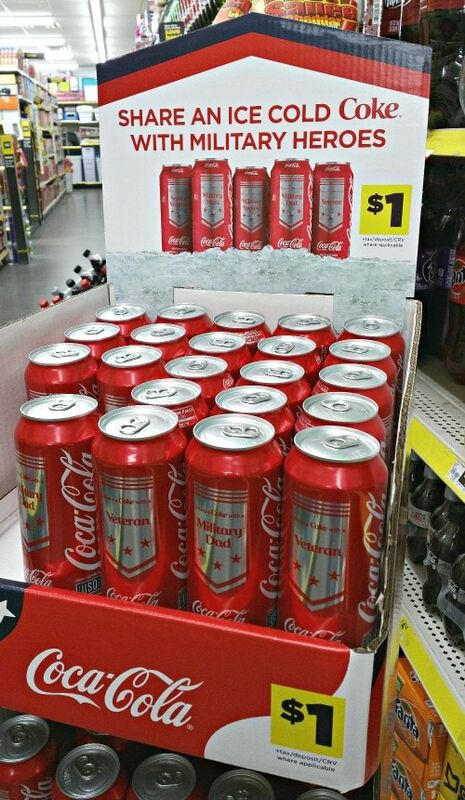 It is possible right now for you and your child to buy a limited edition can of Coca-Cola for only $1.00 at Dollar General. 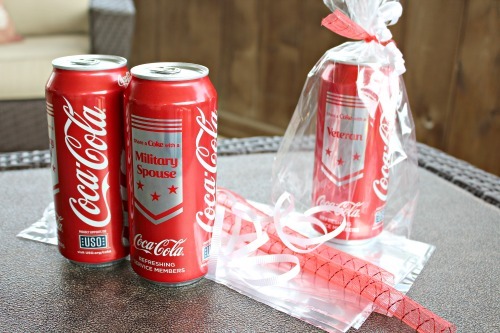 These cans are the perfect gift for a service member, a veteran or a family member! Who wouldn't love a can that is personalized just for them!! 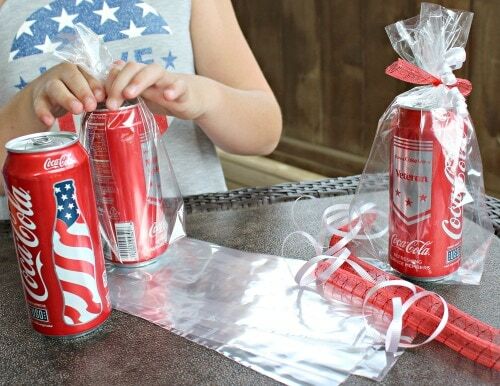 It is quick to package the can in a clear bag with some ribbon for a thoughtful gift. You can use red, white or blue ribbon for an added patriotic touch. My kids LOVE to pay for gifts themselves and they usually have a few dollars in change in their piggy banks. This is a great way for me to help them get involved. It is super easy for them to help me put these cans into the clear bags and tie some ribbon on. 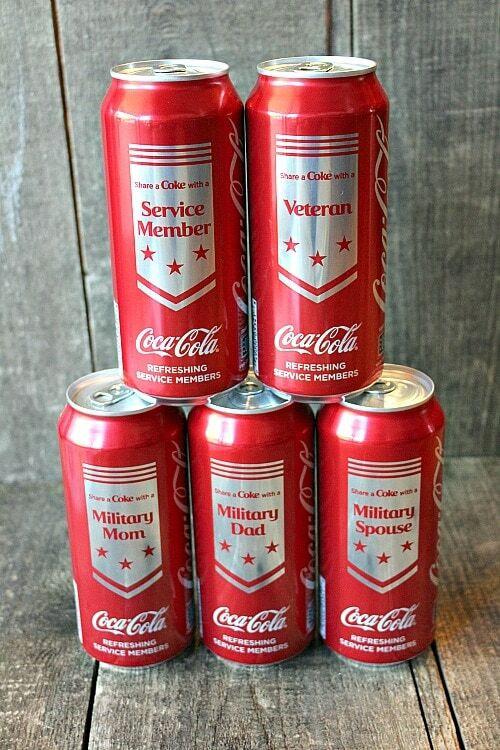 Once we package the limited edition Coca-Cola all we have to do is deliver them to special military people in their lives! Most people love to laugh. It is always helpful to laugh during our hardest moments. Lightening the mood can make a huge difference in someone's day. Kids love to tell jokes and sharing some laughter with our troops is something they would really enjoy! Kids can write out some jokes and help their parents send them to a soldier that they know or their family or neighbor knows. Such a simple way to brighten a soldiers day! 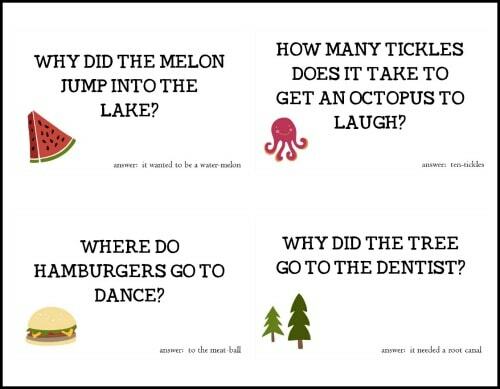 I have created some printable jokes that you can use to make the process even easier. I know my kids got a kick out of reading these jokes before we put them into envelopes to mail off. Here is joke page two. 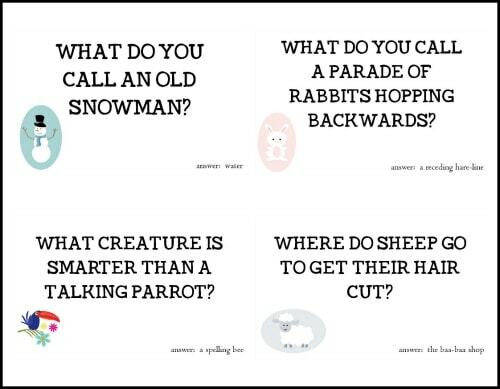 Just cute the jokes out on white cardstock and you are set! How Will Your Child Help Support the Troops? We have special ways our family supports the troops, but kids like to do things on their own too. 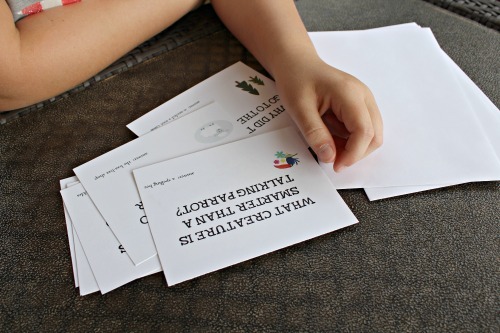 There are so many ways that kids can help support the troops. How do your kids like to help you support the troops? Any special ideas you want to pass on? Be sure to check out more ways you can support the USO.